In a milestone development, the Hon. Inia Seruiratu, Minister for Agriculture, Rural & Maritime Development and National Disaster Management signed a Memorandum of Understanding (MOU) with Dr. Honorio M. Soriano Jr, the President of Pampanga State Agricultural University (PSAU), Magalang, Pampanga, Philippines on 13 January 2016. 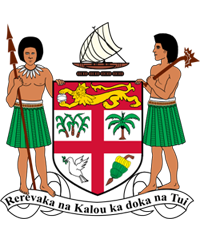 The MOU allows Fiji’s Ministry of Agriculture to use PSAU expertise in identifying Fijian agricultural products for commercial development and actually assist the private sector in Fiji, to fully develop these for commercial markets in Fiji and overseas. Training and student exchange programs is also part of the MOU. 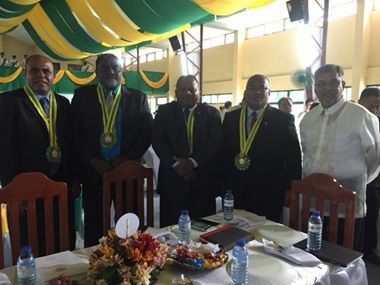 The Hon.Seruiratu and the Ministry of Agriculture officials were accompanied by H.E Mataitoga, who is Fiji’s non-resident Ambassador to the Philippines.